Google* has always been focused on sustaining an excellent customer experience. 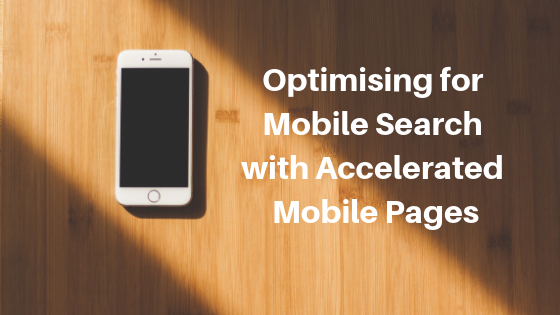 In the last year they have been especially focused on the improvement of mobile search with solutions like Accelerated Mobile Pages. Running ads on Google now requires advertisers to have a good mobile experience on their landing page as part of the quality of the ad. Research has shown that for every second of slow down on page loading time on mobile, conversion rate drops by 12%. Google estimated that 3 seconds is the optimum time users would tolerate for a website to load on a mobile device before they leave. This is a scary stat, having in mind that about 70% of websites nowadays load for more than the crucial 3 seconds. Majority of the users are intolerant to mobile page slowdown, Google included a mobile score of your ads. What is unpleasant for the user is leading to less conversions for you as an advertiser. This results in advertisers giving up too soon, as they don’t see the results they need. One of the problems is that they cannot see these results, just because users are unable to get to their page quick enough. Imagine seeing an ad which is interesting and relevant to what you are looking for right now. Then after you click on it the website takes forever to load. You choose to switch to another page. In the same time the advertiser was charged for your click which never even gave you the opportunity to convert. Mobile internet penetration is growing every year globally reaching to 60% in 2018 and the forecast is to continue so in the following years. More and more people are exposed to the internet only via a mobile device. This is why future-proofing your business requires quick mobile page or an app. If you navigate in Google Ads you will see on the menu on the left hand side a tab called Landing Pages. This is where you will see a selection of metrics showing you the performance of the pages you send paid traffic to with Google. You will see columns like Mobile Speed Score, Mobile-friendly Click Rate as well as starts like clicks, impressions and click-through rate(for the ad associated with this page). This can help you understand how your page is performing compared to how your ad associated with this page is performing. You will probably also see a column called Valid AMP Click Rate. If you are not familiar with AMP pages, you will probably be confused with this metric. Accelerated Mobile Pages, or AMP first appeared online in 2016. They are part of a joint project between Google and Twitter aiming to solve the problem with slow mobile pages. AMP pages are developed in a less heavy HTML which allows the page to load instantly on mobile devices. This is a stripped down version of a website which does not have all features you see on a responsive mobile page or a desktop. You will easily recognise the top search results on mobile devices in a carousel on the top. Only AMP pages or YouTube videos can be part of this carousel in the search results. Some of the earliest adopters of AMP are all news websites competing for getting the attention of users. Using AMP pages can dramatically improve the performance of your website, especially if you are driving traffic with paid ads. After AMP-fying my website, I started getting much more organic traffic on mobile devices. When it comes to paid traffic, having a fast-loading page is an absolute must. Do AMP work outside of blogs and news websites? Yes, absolutely. When it comes to e-commerce websites, experiments have shown 40% reduction in bounce rate and list in overall e-commerce results. Not all websites get such substantial improvements. The results vary a lot depending on the way AMP is implemented. For WordPress websites the easiest way is to install a plug-in whcih automatically transforms all pages into AMP. However this is just one step. In the plug in there is an AMP builder which you can choose to customise. If you only take the default version of AMP, the result might not be that great. In some cases the AMP loses the logo, gets essential elements removed just to simplify and get the loading time down. Experiments show that using the custom AMP page builder give much better results that simply using the default version. This might take some time in the beginning but it is definitely worth it. You can also save time with ready-made AMP templates which you can import. You can even change the content of the AMP page, including a reduced version of the text, for example. Still Google will exclude AMP pages from the carousel if they highly differ from the original. Another problem is tracking AMP. The way they work right now is that users are directed to a page stored on Google.com(cached). If a user clicks on a link on the AMP page he will be redirected to your website. This can result in very high bounce rate results, short time on page and only one page per session. There is a way to fix this called session stitching. You can read the full article on how to do this on stonetemple.com blog. Regardless of the purpose of your website, AMPs can help you improve results if implemented and tracked well. One of the best ways to estimate the results from your efforts is to set up an experiment in Google Ads. To do this you need to have conversion tracking set up. This means that Google Ads and Google Analytics are aware of the valuable actions users are taking on your website. These could be downloading information, filling out a form, requesting a callback or buying a product. In this way you can easily track results and compare the performance. Next step: Click Drafts and Experiments in Google ads to start building the experiment. As experiments can be only on campaign level, you will essentially have two campaigns running simultaneously – one original and one which has AMP pages in the Mobile URL. Ideally you should run a mobile only campaign as an experiment to generate as much data as possible, because AMP pages can only compete on mobile devices. Also make sure you choose a campaign which has a lot of conversions and clicks. This will help you make conclusions with more certainty as they would be based on a larger sample. Tracking your mobile results is a very important for the success of your online activity – regardless whether you use SEO or ads. The tips in this article can set you up on a track to assess and improve the performance of your website. *All the views in this article are exclusively mine and I am not an official spokesman of Google. This entry was posted in Google Adwords, SEO and tagged mobile. Will Google Smart Campaigns Replace Agencies?